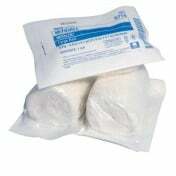 Covidien 3332 Kerlix AMD Gauze Rolls 4 in x 4 yds, 6 Ply are impregnated with PHMB (Polyhexamethylene Biguanide), a powerful yet safe antiseptic that has a broad range effectiveness against gram positive and gram negative microorganisms including some multi-drug resistant strains such as MRSA. 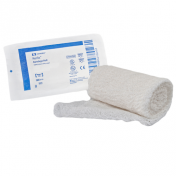 This product provides healthcare facilities with a low cost, prophylactic method of treatment without changing nursing protocols. 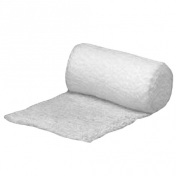 In addition to its antimicrobial capabilities, Kerlix AMD rolls provide fast-wicking action, superior aeration, and excellent absorbency. The reverse fluid-proof nylon material is removable for easy laundering. 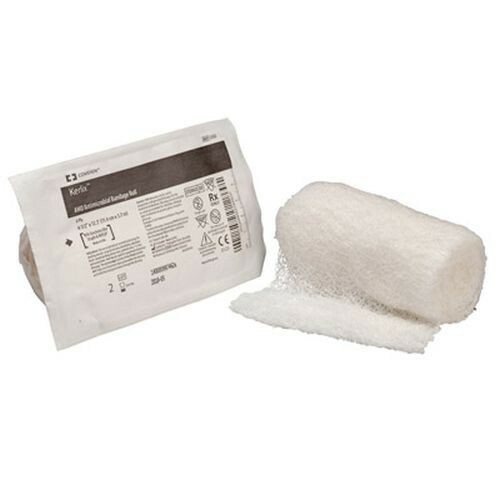 Both sides of the soft overlay may be wiped cleaned with a damp cloth and a mild non-bleach disinfectant may be used. 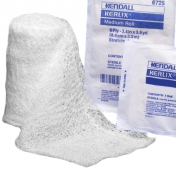 Other gauze dressings you may want to consider include the Kerlix Gauze Bandage Rolls, AMD Gauze Packing, and Kerlix AMD Antimicrobial Gauze Bandage Rolls. 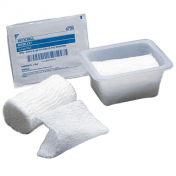 Contains antimicrobial agent polyhexamethylene biguanide (PHMB) to inhibit bacterial growth. Attacks bacteria in and on the dressing. Effective against both gram + and gram – bacteria as well as yeast and fungi. 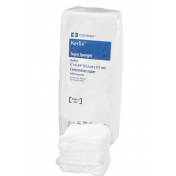 Effective against common problematic bacteria such as methicillin resistant Staphlococcus aureus (MRSA) and vancomycin resistant Enterococcus (VRE). 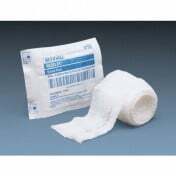 Material: Gauze impregnated with PHMB. Lovelace, Larry, MT (ASCP), CIC. 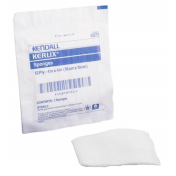 Antimicrobial Dressing Intervention Associated with Reduction in Surgical Site Infection Rate. Mansfield: Lovelace, 2009. Patricia Mertz et al. 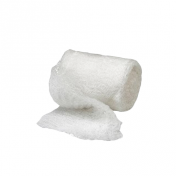 The Effect of an Antimicrobial Gauze Dressing Impregnated with 0.2% Polyhexamethylene Biguanide (PHMB) as a Barrier to Prevent Pseudomonas Aeruginosa Wound Invasion. 2001. Stone PW, Larsen E, Kawar LN. A Systemic Audit of Economic Evidence Linking Nosocomial Infections and Infection Control Interventions: 1990 – 2000. 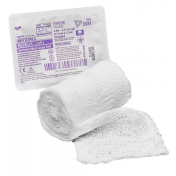 American Journal of Infection Control 2002: 30: 145 - 152.